Harare (AFP) - Zimbabwe's top court on Wednesday outlawed marriage for anyone under the age of 18 in a ruling hailed by activists as major progress towards ending child marriage. 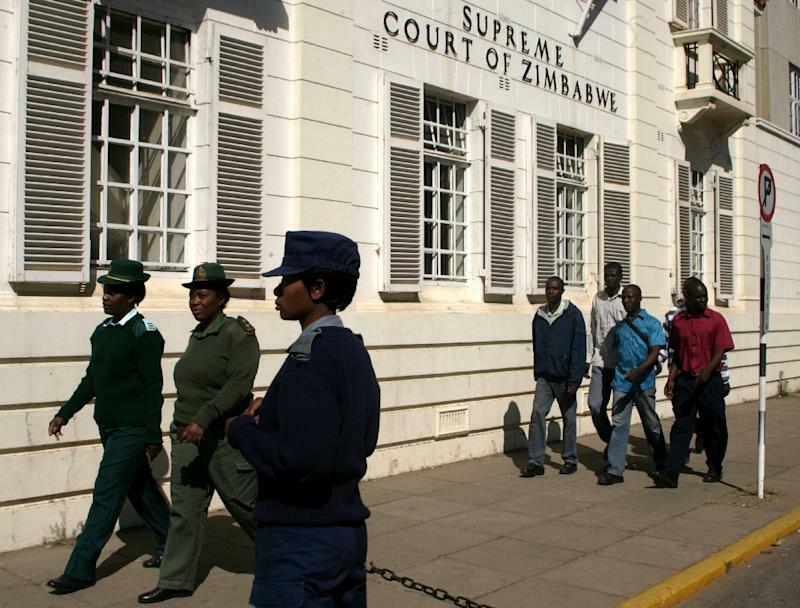 The Constitutional Court in Harare issued its decision after a case was brought by two women who suffered poverty and a lack of education after being forced into child marriages. "This judgement offers serious protection to children and women who are the unfortunate victims of early marriages," Tendai Biti, a lawyer for the women, Loveness Mudzuru and Ruvimbo Tsopodzi, told AFP. "It deals a decisive blow to the exploitation of children... It is now for the legislature or parliament to say what are the penalties." Veritas, a legal group that led the constitutional court bid, applauded the ruling. "This is a great day for gender equality, women's rights and children's rights and the fight against poverty," it said, adding that it hoped other Africa countries would follow suit. In November, UNICEF said that population growth meant child marriages in Africa are set to more than double by 2050 unless urgent steps are taken. The African Union estimates that about 14 million under-age girls are married on the continent each year -- almost all of them forced by their parents. Last year, the union held its first major summit on ending child marriage and called for laws protecting children to be strictly enforced.